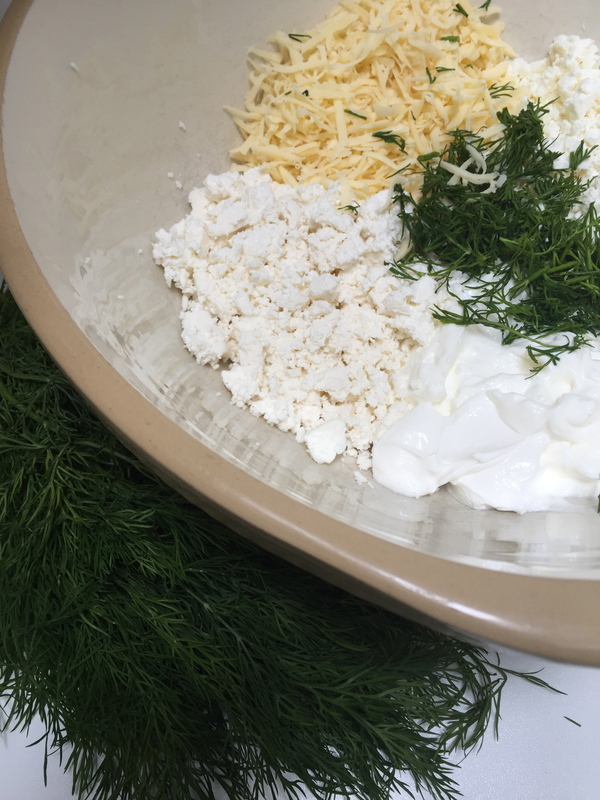 Either, 2 tablespoonfuls of chopped dill OR 1/2 teaspoon ground nutmeg or cinnamon OR a few saffron threads dissolved in a tablespoonful of warm milk. First make the pastry, Sift the flour and salt into a large bowl. Add the chopped butter, then rub into the flour with your fingers, until it resembles breadcrumbs. Add the water an combine all the ingredients with a spatula, until you have a ball of soft dough. Cover, so that it doesn’t dry out and leave it to rest in a cool place. Now make the cheese filling. Take a large bowl and in it put the feta and crumble it with a fork. Add the ricotta and do the same, then add the yoghourt, the grated gouda and the beaten eggs. Mix all the ingredients together very well. 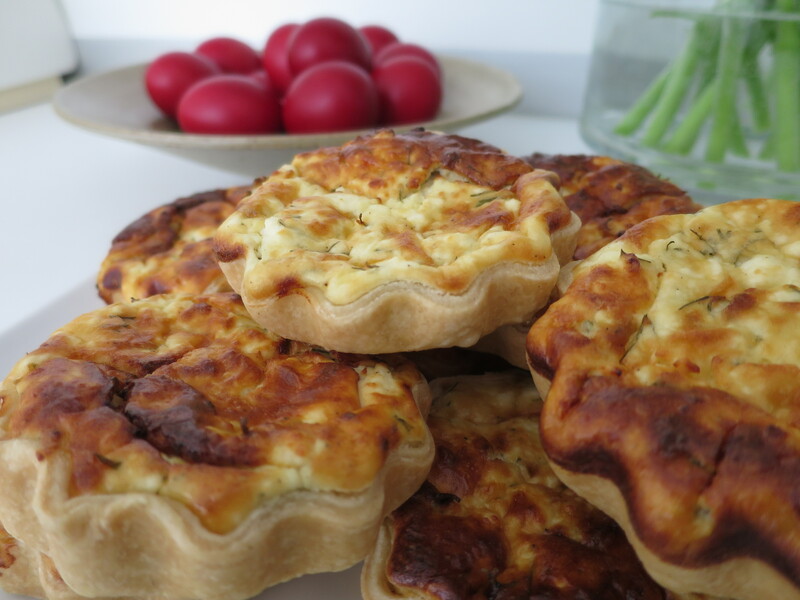 It should have the appearance of thick cream but you should still be able to see small bits of feta and the grated cheese. Add the flavouring of choice and mix it in well. Take your flan tins and rub the insides with a piece of buttery paper. This stops the pastry from sticking. Now take the ball of dough, cut it in half and roll out on a floured surface, until you have two thin sheets of pastry. 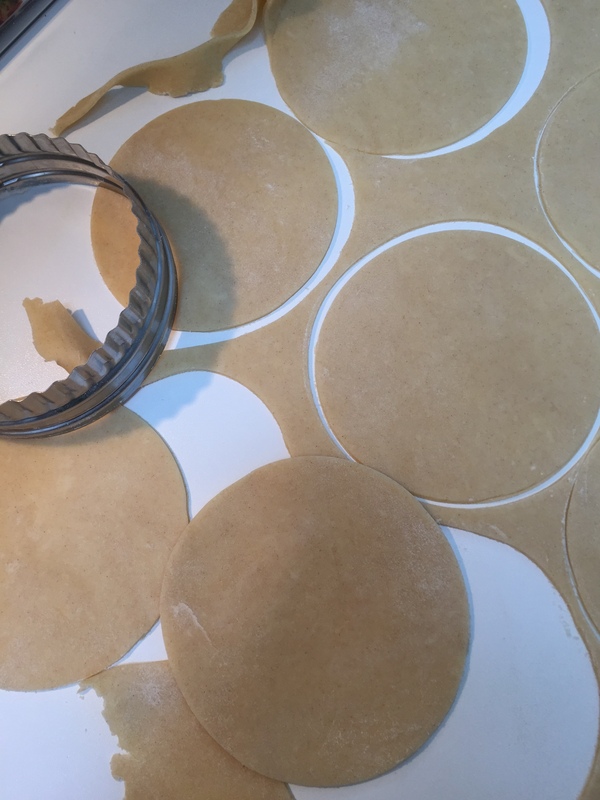 Cut out 14 circles of pastry with a pastry cutter. 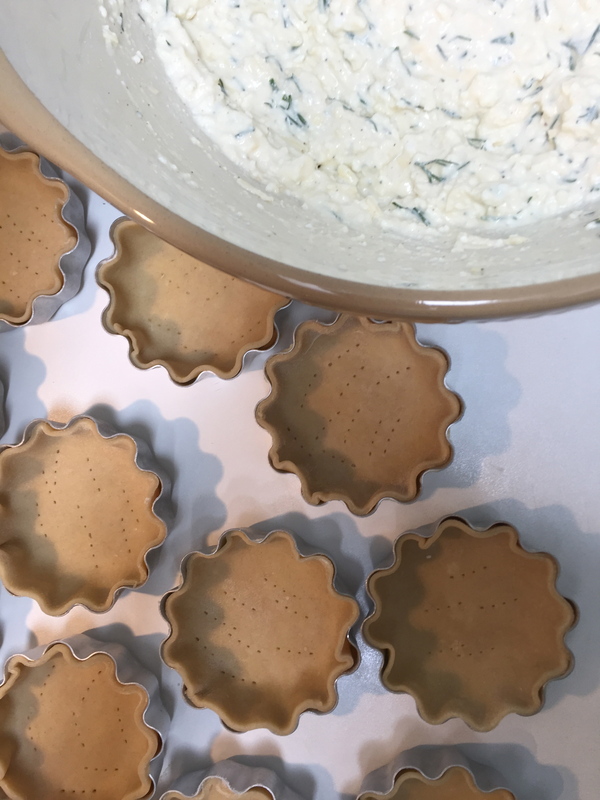 Line the tart tins with the pastry and then fill each one with a couple of tablespoonfuls of the cheese mix . Bake for about 35 – 40 minutes at around 185 degrees. When cool enough to handle, remove from the tins and serve.